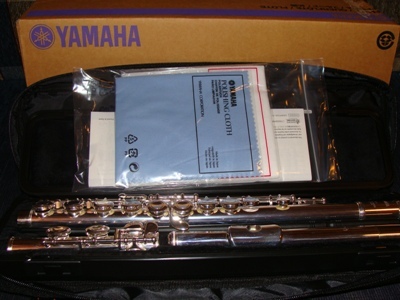 Yamaha YFL 211S flute, silver plated, E mechanism. Includes CASE, cover, and accessories. New Model! The Yamaha's most sold flute. Reliable quality, durable instrument.